Naomi Alderman is the author of Disobedience, which won the Orange Prize for New Writers and has been published in 10 languages. She contributes regularly to the Guardian and lives in London. Alderman’s science fiction novel, set all over the world, was awarded the Baileys Women’s Prize for Fiction. Sometime in the near future, young women discover they have within them the ability to unleash skeins of electrical current that can maim and kill. One of them, an abused American foster child, joins a group of nuns, reinventing herself as the healer Mother Eve. She promotes a new religion in which Jews look to Miriam, Muslims to Fatimah, Christians to Mary. Her ally is an English crime lord’s daughter named Roxy, whose skein is warrior strong, and whose violent family has global connections. Meanwhile Tunde, an opportunistic photojournalist, manages to break the news of several women’s revolts across the world. The first upheavals are in Saudi Arabia and Moldova, places where women have few rights. But the woman who rules Bessapara, the first nation of the new world order, is unscrupulous and afraid, and she creates further instability by stripping men in her country of all rights and implicitly threatening world war. Roxy runs into trouble trying to keep a lid on this international situation, while Mother Eve convinces herself it might be for the best to start the world anew. 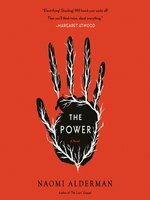 Margot, an American politician taught to tap into her skein by her daughter, rises to power in the States, her message becoming more hawkish as she gains influence. But she is corrupted by her addiction to power over her male rivals, and she, too, plays a part in the endgame. Alderman tests her female characters by giving them power, and they all abuse it. 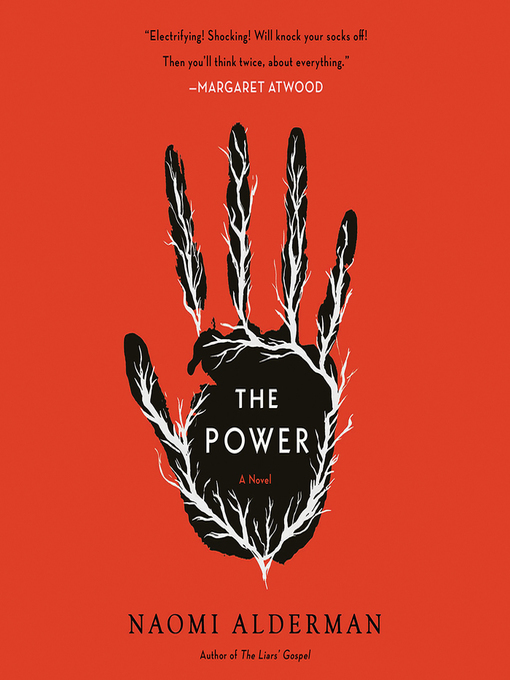 Readers should not expect easy answers in this dystopian novel, but Alderman succeeds in crafting a stirring and mind-bending vision. All over the world, teenage girls develop the ability to send an electric charge from the tips of their fingers.It might be a little jolt, as thrilling as it is frightening. It might be powerful enough to leave lightning-bolt traceries on the skin of people the girls touch. It might be deadly. And, soon, the girls learn that they can awaken this new--or dormant?--ability in older women, too. Needless to say, there are those who are alarmed by this development. There are efforts to segregate and protect boys, laws to ensure that women who possess this ability are banned from positions of authority. Girls are accused of witchcraft. Women are murdered. But, ultimately, there's no stopping these women and girls once they have the power to kill with a touch. Framed as a historical novel written in the far future--long after rule by women has been established as normal and, indeed, natural--this is an inventive, thought-provoking work of science fiction that has already been shortlisted for the Baileys Women's Prize for Fiction in Britain. Alderman (The Liars' Gospel, 2013, etc.) chronicles the early days of matriarchy's rise through the experiences of four characters. Tunde is a young man studying to be a journalist who happens to capture one of the first recordings of a girl using the power; the video goes viral, and he devotes himself to capturing history in the making. After Margot's daughter teaches her to use the power, Margot has to hide it if she wants to protect her political career. Allie takes refuge in a convent after running away from her latest foster home, and it's here that she begins to understand how newly powerful young women might use--and transform--religious traditions. Roxy is the illegitimate daughter of a gangster; like Allie, she revels in strength after a lifetime of knowing the cost of weakness. Both the main story and the frame narrative ask interesting questions about gender, but this isn't a dry philosophical exercise. It's fast-paced, thrilling, and even funny. Very smart and very entertaining.